Mexican director Alejandro Inarritu, left, and Spanish actor Javier Bardem pose for photographers at the Morelia International Film Festival in Morelia, Mexico, Saturday Oct. 16, 2010. From afar it seems like Baghdad: car bombs, beheadings and corrupt politicians. Up close, Mexico remains magical and picturesque in parts, feeling oddly safe even in the hardest-fought territories of the drug war. The 8th annual International Film Festival opened Saturday in the drug-plagued state of Michoacan to its largest turnout ever, drawing the contrast that defines Mexico today. Only blocks from the site where a 2008 grenade attack killed eight people, hundreds lined the red carpet to squeal at one of Hollywood’s leading men, Oscar-winning Spanish actor Javier Bardem. 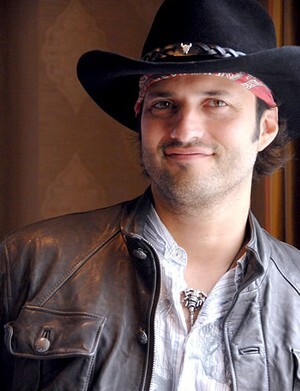 Unlike the Jonas Brothers in the drug-war-ravaged city of Monterrey, no one canceled – organizers say – for a festival that also features Hollywood blockbuster director Robert Rodriguez and Monty Python funnyman-turned-director Terry Gilliam. Mexican director Alejandro Gonzalez Inarritu, whose film “Biutiful” starring Bardem opened the festival, acknowledged to a full auditorium in cocktail attire that his homeland is seeing a difficult time. He told The Associated Press on Sunday that violence in Mexico appears to be out control. But culture and education are very powerful weapons in the war against it. 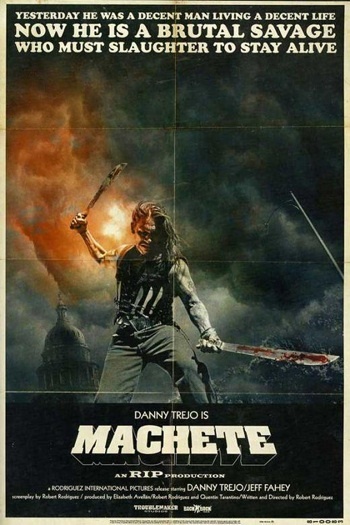 Indeed, it was Rodriguez’s fake trailer in “Grindhouse” which started the “Machete” ball rolling. Trejo’s tough guy character, a former Mexican federal agent turned killing machine, immediately came to life. Rodriguez says the public simply demanded the movie be made after seeing the fake trailer. The gore-fest is definitely building to tremendous buzz in advance of the Sept. 3 release. And, like Bond, there is plenty of room for more chapters. Filmmaker Robert Rodriguez discusses the art of fear reborn with "Predators"
Why did Robert Rodriguez step into the realm of the reboot? 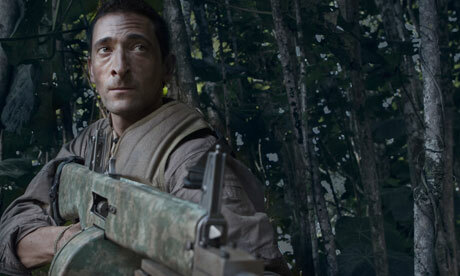 Find out when Hollywood’s ‘rebel with a film crew’ reveals the secrets behind his engineering the rebirth of fearsome cool with ‘Predators.’ Settle in with the first in a series of Personalities Interviews on one of the summer’s most anticipated blockbusters. Robert Rodriguez knows how to make an entrance. Standing tall at 6’2, he walks. Scratch that. He swaggers, into the mess hall in Buestrop, TX that feeds the cast and crew of his latest production, “Predators.” A self-avowed guerilla-style filmmaker, Rodriguez makes a point to live out his artistic manifesto. He shoots, cuts, writes, directs and composes each fiery frame of his work. Yet, despite his commanding physical presence, he possesses a curiously soft way of speaking. It is a striking contrast to the leather hat and sturdy biker boots he favors. But make no mistake, Rodriguez is the embodiment of his own cinematic aesthetic: Tough, honest, bold and blazing with innovation. He is a true rebelde of the art form.